We are almost towards the end of the year 2016 and there were about 5.5 million energy switching that has taken place between till September. According to the report shown by ofgem, there has been an increase by 28% of customers who are looking for better energy deals. This is a good sign and shows that people are now aware that they can switch energy suppliers and save money. After doing the comparison on your gas and electricity rates, once you switch for a cheaper deal, you can save upto 250 per year. 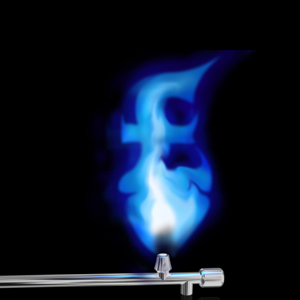 The average spend on your standard variable tariff is 1066 per year and you will only need to pay about 816 per year once you switch your gas and electricity to a cheaper supplier. You only spend a few minutes to compare, but the result is worth the effort. The total process from the supplier will take just about 3 weeks. Nowadays, customers have started comparing the prices and switching suppliers easily and conveniently. All said and done, there are still a huge 66% of customers in expensive standard variable tariffs. Suppliers are minting revenues just because people do not find time to compare and save. However, Ofgem has taken few serious steps and asked the suppliers to be fair to their loyal customers. They are asked to provide the customers best deals available with them. It has also asked suppliers to reach up to customers and inform them about different fixed and variable tariffs available with them. Rachel Fletcher, Ofgem senior partner, Consumers and Competition, said: we appreciate and welcome the fact more customers are switching energy suppliers. But it is suppliers responsibility to reach up to the customers and acknowledge them what's happening in energy market frequently. These days switching energy suppliers are the hottest topic in energy market. If you wish to know whats going on and how to switch, please do not worry!!! We are here to help you. Ultimately, what matters is how much money you are going to save by switching energy suppliers. Saving money is easy once you know who is cheaper in your region. You can do online energy comparison using energy comparison sites, yet you should go for trustworthy one. But the question arises how to find it? If the site is ofgem accredited, without thinking too much you can just go for it. VswitchUsave that provides accurate and impartial list of suppliers. You just need to enter postcode and save money on gas and electricity bills. The whole process will just take 5 minutes. If you are a newbie to do it by yourself, drop your number, our experts will call you back at the earliest and help you switching on your behalf. If you have any questions or if you require any clarification, you are always welcome to talk to our Energy Advisor @ 01183150930.